If you have been trying to get your prefered unit in this coveted Don Mills master-planned community, your wait is almost over. Announcing a sleek and masterfully-built 39 storey condominium tower, a new edition to the Auberge on the Park development. 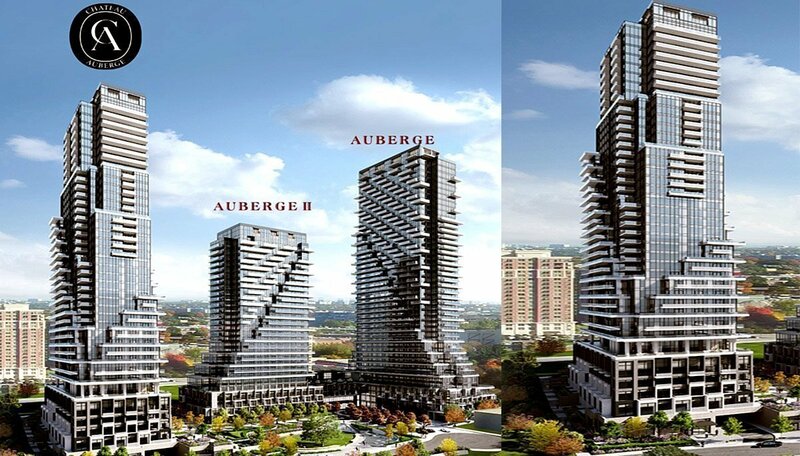 Chateau at Auberge on the Park is a new condominium development by Tridel and Rowntree Enterprises and is currently in pre-construction. This new project will be located at 1095 Leslie Street north of Eglinton Avenue East in North York, and has a tentative occupancy date of early 2024. 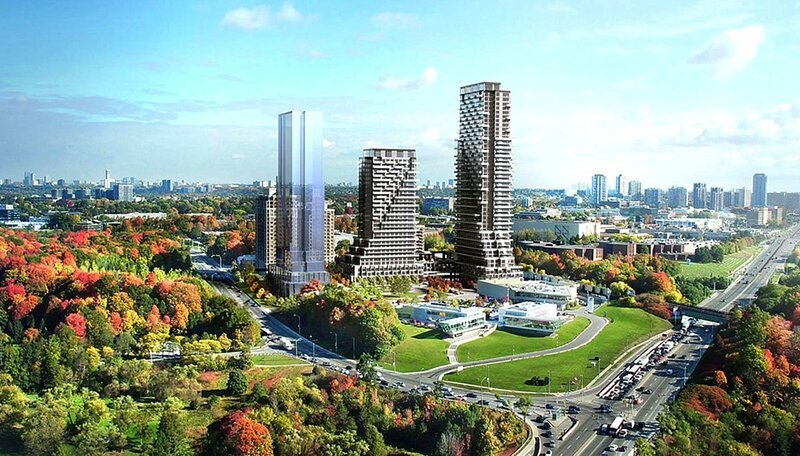 Steps from the upcoming Eglinton Crosstown LRT Line and surrounded by lush Sunnybrook Park, residents will enjoy basking in the mesmerizing view from their private balconies because Chateau at Auberge on the Park is a breath of fresh air. Don’t let an investment opportunity like this pass you by; sign up with GTA-Homes to receive all the latest updates on this exciting real estate prospect. 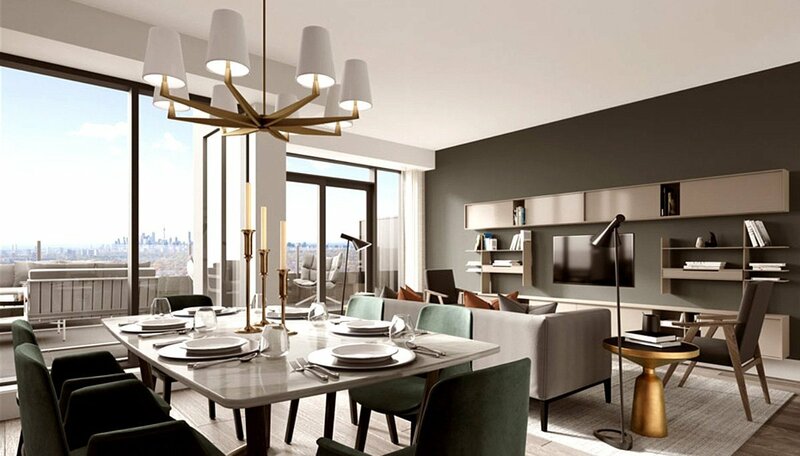 This development’s Signature Collection features an exclusive set of condos that include 2-bedroom with 2.5 bathroom units (1,519 square feet), and 2-bedroom + den with 2.5-bathroom units (2,346 square feet). All purchased condominiums in the Terrace and Signature Collection include one parking spot, while purchasers of 2-bedroom units and larger have the option to purchase a parking space for $49,000. Electric vehicle parking is available for $56,000. What’s more, the elevated living experience found in each of its suites is complemented by this upmarket condo’s extensive series of high-value amenities. On the ground floor, residents can enjoy round-the-clock 24-hour concierge provided in the glass-enclosed lobby lounge with accompanying parcel room. Meanwhile, the fifth floor provides the location for the rest of the amenities, each one more luxurious than the last. This development contains an ornately-constructed indoor swimming pool featuring crown moulding and stone-clad walls with accompanying whirlpool; as well, the 5th floor is home to a fitness centre with state-of-the-art cardio and weightlifting equipment designed with curved ceilings and art mirrors, complete with change rooms and a dedicated yoga studio. Not only that, residents have full and complete access to a library lounge, a private dining room, and even an elegant party room equipped with billiards and premium black marble fireplace. At the same time, the condo also provides spacious outdoor amenities on the north and south terrace of the 5th floor where residents can host al fresco dinners at the barbecue area and outdoor dining, or while away the cool evenings in comfort on the condo’s outdoor lounge with gas fire tables. Suites come fully-equipped with engineered hardwood floating floor with acoustic underlay, hybrid fibre 250 high-speed internet service, and porcelain or natural stone floor tile in all master ensuites and powder rooms. Kitchens feature mandatory installs of contemporary laminate and/or wood composite cabinetry including upper cabinets with valance, while bathrooms have vanity cabinetry including single polished square edge natural stone or quartz countertop. All condos come with a top-of-the-line Miele Energy Star appliance package that include a fully-integrated paneled dishwasher and refrigerator, ceramic cooktop range, wall oven, and built-in microwave. As well, suites on floors 32 through 39 are equipped with 10 foot-high ceilings. And, to help clients can pick out the condominium of their dreams, Tridel offers one-on-one consulting sessions at their new 8,000 square foot design showroom. And, with the involvement of one of Toronto’s most experienced and trusted condo builders, condo residents can relax knowing their home safety is guaranteed. Tridel’s innovative Smart Home technology allows residents to use a smartphone app to accomplish tasks such as setting alarms, viewing security camera feed, and even unlock digital locks for doors to amenity space and common areas. Architects Graziani + Corazza Architects have designed a vertical community that is an architectural masterpiece. The lively glass facade reflects its natural surrounds and tops it off with the incorporation of cascading balconies. The development calls for a new public street through the site, as well as landscaped pathways, to encourage pedestrian and bicycle activity within the community. Simply put, there are so many reasons to love the Auberge on the Park community! One of this sites biggest perks is its proximity to Sunnybrook Park, which sits just south of the project. The park boasts 147 acres of lush parkland with endless cycling paths, dog parks, picnic sites and even a horseback riding facility. Heading north of the park is the Toronto Botanical Gardens, the perfect place to stop and smell the roses on a Sunday afternoon. Just to the east is the Leaside Spur Trail that stretches 3 kilometres-- this is a popular destination for those who enjoy hikes or to simply stretch your legs. Running beyond that is the Don River which is surrounded by one of the most beautiful conservation areas in the GTA. This area is more than green space if the natural escapes aren't exactly your thing. The newly renovated Shops at Don Mills boasts high-end retailers which offer you a different kind of landscape to go for a walk and stretch your legs. This shopping centre is also home to restaurants, salons, Cineplex Cinemas, and a 24-hour Metro grocery store. For those who rely on public transit to get around, this new pre-construction condo will be just steps from the upcoming Sunnybrook Park station on the Eglinton Crosstown LRT. Motorists will enjoy living near the Don Valley Parkway especially for commuting downtown or to other parts of the city. This is a fantastic opportunity to invest in an up-and-coming part of the region in a sustainable community built by one of the city’s most respected developers. Tridel simply knows how to keep on top of the trends by demonstrating, the progressive thought process of building skyward as opposed to outward. They construct complete communities that incorporate cutting-edge architecture, rich dynamic, revolutionary and bold ideas that are centred on exclusive compositions. 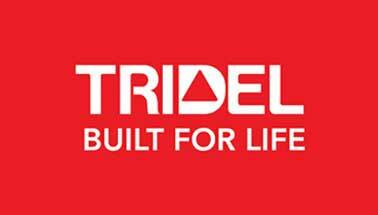 Tridel has a history of finishing projects close to perfection. This developer has just joined the condo development industry, but they are already making a major impact. Their experience as an automotive dealership has taught them the importance of location as well as identifying the gaps in any given marketplace. Although this a new endeavour for them, they are off to an amazing start.